Coalition to highlight people, news & events relevant to the everyday life of East End residents. 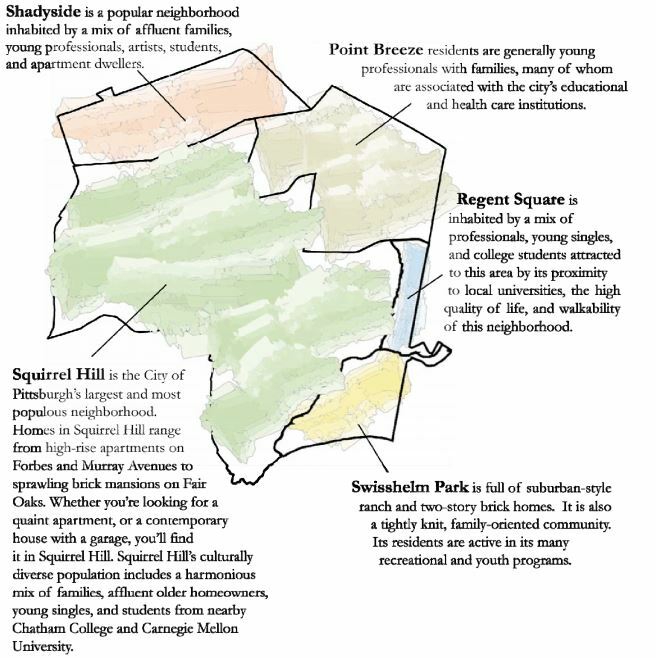 For nearly 40 years, the Squirrel Hill Urban Coalition has been promoting, informing and serving our community. Squirrel Hill Magazine is one of our most effective and best known means of carrying out that mission. Advertising in the magazine supports the community and your business! We mail to over 15,500 households and businesses in 15217, which encompasses all of Squirrel Hill and parts of Regent Square, Shadyside, Point Breeze and Swisshelm Park. An additional 1,000 copies are distributed throughout the East End of Pittsburgh. You’ll reach a mix of families, young singles, affluent homeowners and college students. Our readers are active and engaged members of the community, the tastemakers & influencers of Pittsburgh. Area salons, cafés, offices, waiting rooms, hotels and restaurants. Call us today at (412) 422-7666 or email marketing@shuc.org to reserve your space in an upcoming issue.